After months of preparation the beast has finally been let loose, and I am appropriately chuffed to rapport that The Violence is now available for purchase, streaming, viewing, scrobbeling, dowloading, making sweet love to the sound of, and generally everything you typically do with music. You can find it on iTunes, Spotify, Wimp, Last.fm, Bandcamp, Amazon, and a number of other places, if you so desire. If you are old school, like me, and want something to hold in your hand (something with cool art work and limited availability), come to a gig or get in touch to get one of the CDs. You have about 150 sales worth of time to get on that. ∞ One mother of a roadie The EP was launched at Skuret 20 May to an excellent audience of 50+. The following week we took the show to Mono, to experiment with actually hearing ourselves on stage. We also did a split gig at Palace Grill. The people came, they saw, they high fived, they bought EPs, and then they went home and clicked ‘like’ on facebook. I approve. Next up is Cafe Fiasco, 15 June. You should come. I want to sing to you. On Tuesday 22 May, the day after The Violence was released onto the internet, we had our first radio play. James and I popped down to Radio Nova for a full 20 minute spot on the culture show Skumma Kultur, including an English-Norwegian interview, a live performance of All In The Family and air play of Metal Giant. 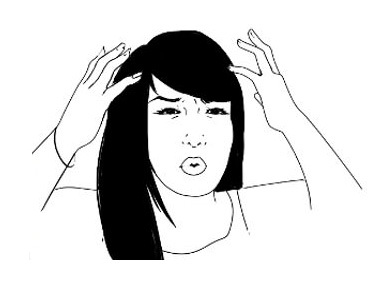 I might just stick that little number up on Soundcloud when I get my hands on it. 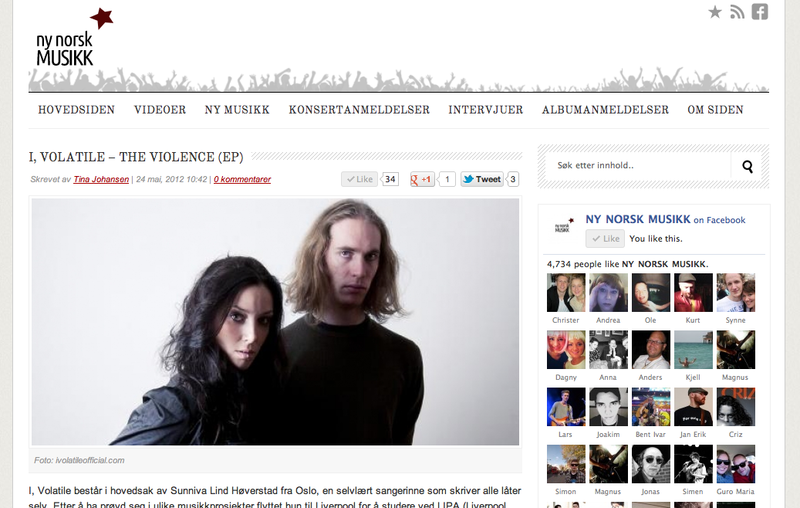 Just after that the music news website Ny Norsk Musikk decided to feature The Violence on their cover page. To spice things up James enjoyed his first day on the cover of a music magazine with a severed head, before the editors decided to organize a less cutting-edge crop. To top an otherwise splendid launch our first review ticked in right after the third gig. Unfortunately it happened to be written by a person who’s knowledge of the genre in question is as apparent as enthusiasm in a bus driver caught in morning traffic. That concludes our news update this evening. Enter your email to follow this website and be notified when there is news.